Call A to Z Entertainment, Inc. today for free information about how to hire or book gospel music singer Vanessa Bell Armstrong. With over twenty years of successful experience, we are your agent and talent agency for booking and hiring Christian and gospel music singer Vanessa Bell Armstrong! We book or help you hire any live professional entertainers you want, in addition to those you see on our site. We also help you plan and produce you show or event, so call us today at 888-655-4575 and we’ll be glad to help you. Her first CD project with Music World Gospel, was released January 31, features some of her greatest hits and most beloved songs that she has recorded and performed over the years. The EP is titled Timeless, an apt description for the songs of this award-winning performer whose fans span several generations and multiple genres. Her fan base includes the “fan in chief,” President Barack Obama, who has said that Armstrong is one of his favorite gospel artists. While the six songs on the EP were originally recorded in 1983, Vanessa Armstrong brings a contemporary vibe and sophistication to this recording that gives each song a fresh anointing. The first single from the EP, “Nobody But Jesus,” was originally recorded by Armstrong in 1984 for her sophomore album, Chosen. The contemplative and powerful song became a signature hit for Armstrong, and this rendition is sure to connect with a whole new generation. Other songs on the EP include “Walk With Me,” a contemporary R&B take on a spiritual standard, which was also on her sophomore album, Chosen; and “Peace Be Still,” an updated recording of the song that launched Armstrong’s career as a solo artist, and for which she is still best known. The song was originally released in 1983 as part of the album by the same titled. The EP also includes a recording of “Shine On Me” the upbeat theme song from the television sitcom Amen, which starred Sherman Hemsley. This is the first time Armstrong has recorded the song as part of a music CD. The last song on the EP is “It’s Over Now,” from her 2007 album, Walking Miracle. Armstrong wrote the song as a message to her children—particularly her son who has Multiple Sclerosis (MS) and her daughter, who was going through a divorce at the time—to hold onto their faith in difficult circumstances to get through anything. Vanessa Bell Armstrong was born in Detroit, Michigan and began singing at age four. She was raised in the Church of God in Christ, where her father Elder Jesse G. Bell was a minister. Before becoming the pastor of the Greater Mt. Everett Church of God in Christ, Reverend Bell was an evangelist who organized revivals and preached at churches around the Detroit area. From an early age, Vanessa sang lead solos in the choir at the church and she also would accompany her father to sing when he preached at other churches. When Bell was 13 years old, Dr. Mattie Moss Clark (mother of the members of the renowned gospel group, The Clark Sisters), a pioneer in gospel music who directed the Southwest Michigan State Choir heard Armstrong sing. Clark became a mentor to Armstrong, who began traveling with Clark, singing in her various choirs and sharing the stage with gospel titan such as Rev. James Cleveland, Shirley Caesar, the Mighty Clouds of Joy, and the Williams Brothers. Armstrong’s other early musical influences included, Aretha Franklin, and Mahalia Jackson. Armstrong recalls that when she was a young teenager, she told people that she wanted to get married and have five kids and sing. That is precisely what she did. When Armstrong was 20 years old she got married, had five children, and settled into raising her family. She eventually went back to pursuing a professional singing career and in 1983 she recorded her debut solo album, Peace Be Still, on Onyx Records, a label under Benson Records. 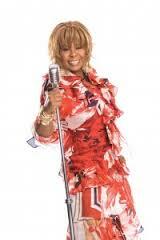 Vanessa Bell Armstrong was a trailblazer in gospel music, bringing a strong R&B style to the songs she sang. She has recorded 15 critically-acclaimed and award-winning albums and had a string of number one hit songs. Following Peace Be Still, her sophomore album, Chosen, was released by Onyx in 1984 and re-released in 1991. Armstrong was criticized in some quarters for her style of singing gospel songs, but critics and gospel record buyers loved her music. Her third album, Following Jesus, released in 1986, was actually the first solo album that Bell had recorded. However, executives at Onyx delayed the release of the project out of concern that the album’s contemporary style might be rejected by the gospel music community. After the success of her first two albums, the label released Following Jesus, which earned Bell a Soul Train Music Award for Best Solo Gospel Album. During the late 1980s, Armstrong also had success as an R&B recording artist. She signed with Jive Records in 1987, and her self-titled album, released that year, featured the crossover R&B hit, “You Bring Out the Best In Me,” as well as the club favorite “Pressing On.” Her 1990 release, Wonderful One, featured, “True Love Never Fails,” a duet with Jive label-mate jazz guitarist Jonathan Butler. The track was also included on Butler’s acclaimed More Than Friends album. In 1990, Jive released a CD version of Armstrong’s greatest hits, along with the highly praised recording, The Truth About Christmas. Armstrong was the only gospel artist on the Jive label. After she recorded Something On The Inside, in 1993, Jive created the Verity Records for gospel and inspirational music. In 1995, Armstrong became one of the label’s first recording artists. There she released The Secret Is Out, (1995) and her first live album, Desire Of My Heart: Live in Detroit, (1998). This project was special to Armstrong because she had wanted the challenge of doing a live album. She also wrote the title track to the album, which was the first time one of her own compositions had been included on one of her releases. She also served as the album’s co-producer. 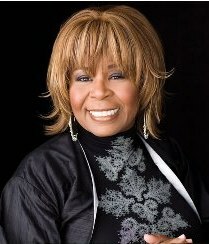 Verity later released three compilation albums: The Best of Vanessa Bell Armstrong (1999), Sing to Glory (2005), and Praise and Worship (2006). Vanessa Armstrong brought in the new millennium with a new recording on a new label. Brand New Day was released by Tommy Boy Records in 2001. She moved to EMI Records, where she recorded Walking Miracle (2007), and teamed-up with award-winning producer, composer and recording artist, Donald Lawrence, to record The Experience (2009). Throughout her career, Armstrong has worked and collaborated with numerous artists, including Pastor Shirley Caesar, Tramaine Hawkins, Yolanda Adams, Fred Hammond, Marvin Winans, The Winans, John P. Kee and the New Life Community Choir, among others. That same year she made her Broadway debut in Don’t Get God Started at the Longacre Theatre, where she co-starred with Giancarlo Esposito, BeBe Winans and Chip Fields, among others. In 1989, Armstrong also had a role in Oprah Winfrey’s critically-acclaimed ABC miniseries, The Women of Brewster Place. Vanessa Bell Armstrong now lives in Houston, Texas, but tries to get back to Detroit at least twice a month to visit her family. She is currently prepping to start working on a new CD. She also is writing a book about her life and her music, which she hopes will be published this year. We can help you book or hire any Gospel and Christian music singers in addition to those you see here on our site. Having helped hundreds of clients, we’re your best talent agency and agent for hiring and booking gospel music singer Vanessa Bell Armstrong. So call 888-655-4575 today and we’ll be happy to help you. A to Z Entertainment, Inc. is not the exclusive agency for any live entertainers on this site.